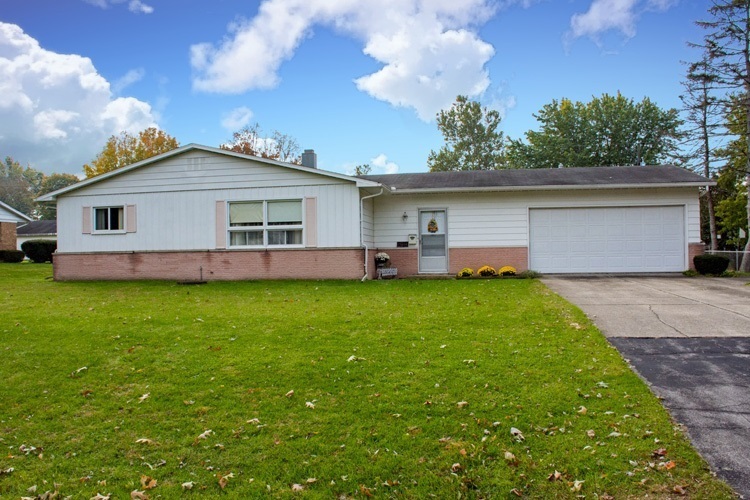 Lovely ranch with good bones and tons of potential! This one-owner home offers three bedrooms, one and a half baths with a great floor plan and a heated two car attached garage. Enjoy family gatherings in the spacious living room that opens to the eat-in kitchen with tons of cabinets and a large pantry for extra storage. Master bedroom features double closets, an attached Jack and Jill half bath that opens to the convenient main floor laundry. The huge full bath features a large attached vanity. Relax in the sunporch overlooking the big backyard. Home has newer windows and newer A/C. Great south side location - convenient to US 31 Bypass, shopping centers and restaurants. Call today for a showing! Directions:From Kern Rd; Right toward Southland Ave; Left onto Southland Ave; Right at 1st cross street onto Shirley Ave; Slight left onto Rolling Acres Dr.